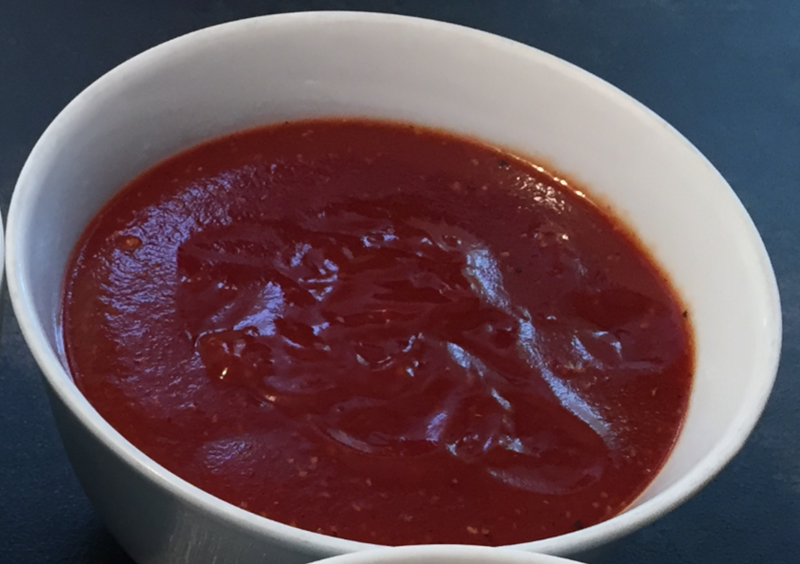 Well, previously I mixed the metaphors with one of my sauce, as rightfully pointed out by Alan in commenting the “Tutorial: BBQ Pulled Pork” and pointed to http://barbecuebible.com. Of course Alan is right, I apologize for my mistake. I might get out that with grumbling something about “culture fusion sauce” or something like that. Instead, I want to do it ‘right’ this time. 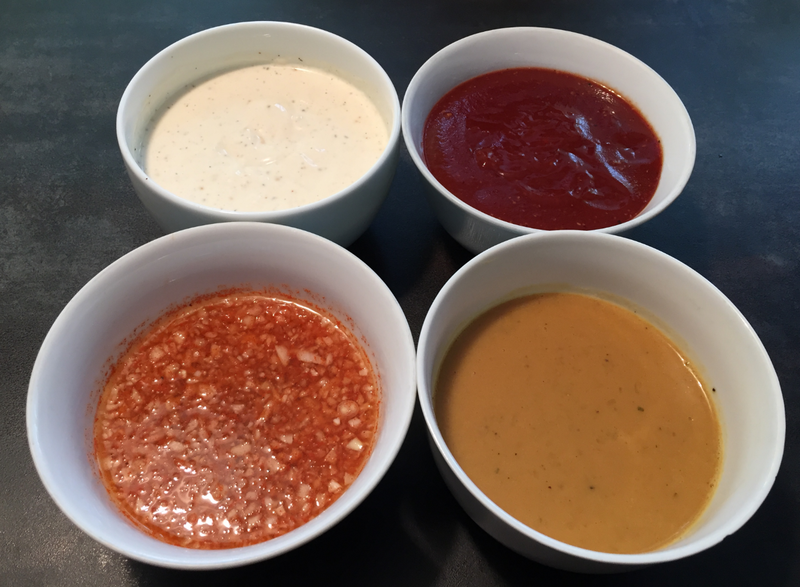 I did some research and came up with four different BBQ sauce recipies. 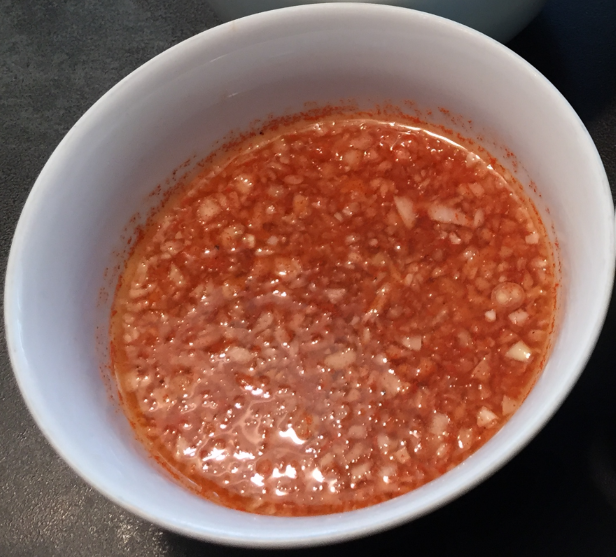 I highly recommend to read Seven Raiclen’s article about Pulled Pork Sauces. Maybe it is still not the original way, and without offending any BBQ experts: I had to change the original ingredients to the ones in my area. Tasting just the sauce I think it will work very well. The sauce is now sitting in the refrigerator and we have to taste it tomorrow evening with the pulled pork. Each of the recipes below are for about 2 dl sauce, scale if you need more. 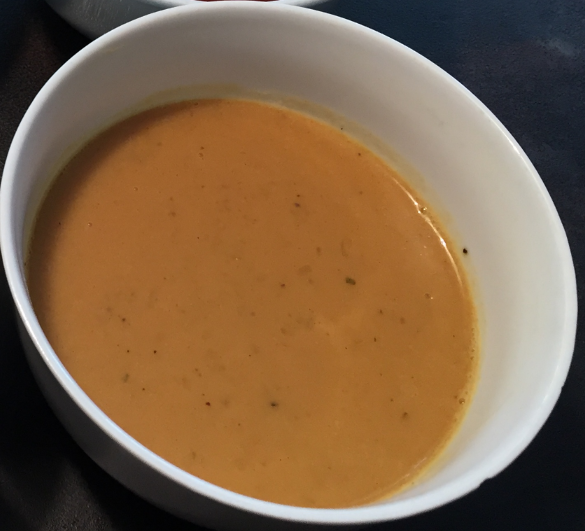 In the refrigerator the sauce can be used over a period of several weeks, but I prefer to prepare smaller amounts as space in the refrigerator is a premium. A very liquid and light sauce based on vinegar. The chopped onion gives it an extra freshness. It harmonizes with the pulled pork very well. Combine all the ingredients in a bowl. Stir until the sugar and salt are dissolved. Cover and put it into the refrigerator. Oh, I love that one! Creamy, mustard and vinegar based, with a spicy Dijon mustard taste. The sauce is rather liquid, so I can pour a bit on the pulled pork and it will run down and reach the meat in the lower levels. Combine everything in a saucepan over high heat and bring to a boil. Then reduce the heat and simmer, until thick for about 10 minutes, stirring occasionally. Cool down, cover and put into the refrigerator. 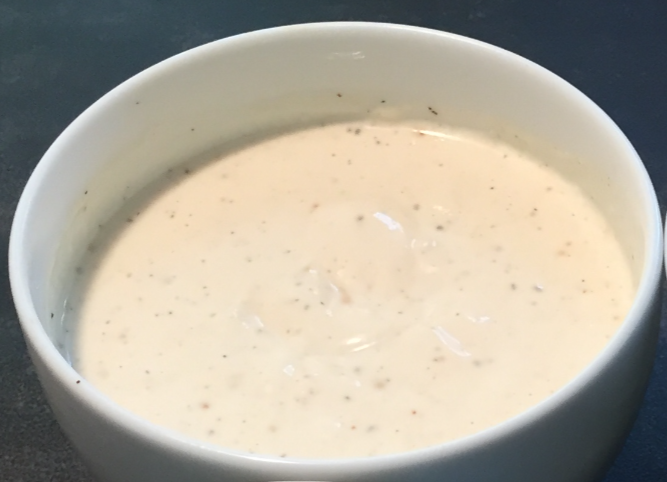 A very special white sauce. I like the freshness of the horseradish, the mayonnaise makes it very creamy. Put everything into a bowl and mix it until everything is nicely dissolved. Cover and put into the refrigerator. That’s a very traditional thick, Ketchup based BBQ sauce. Usually it has a smoky flavour, but liquid smoke is not easy to get, but works without it: the meat itself already has a smoke flavour if it comes out of the smoker. Put all the ingredients, minus the ketchup, in a saucepan and bring to simmer over medium heat. Stir and cook until all ingredients are dissolved for about 5 minutes. Then stir in the ketchup and bring to boil. Cool down, cover and put into the refrigerator. This entry was posted in BBQ, Tips & Tricks, Tutorial and tagged BBQ, Pulled Pork, Recipie, Sauce by Erich Styger. Bookmark the permalink.